Home News Is the Mail going PC? Heaven forfend! Is the Mail going PC? Heaven forfend! 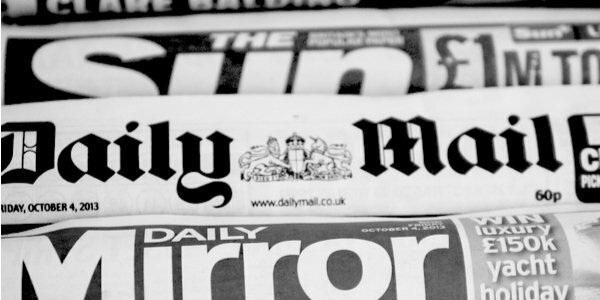 It is to be hoped that the Daily Mail is not going the way of the Conservative Party and becoming a politically correct, culturally Marxist echo-chamber. But the wording of a news report about the Church of England’s split over gender-neutral wedding services certainly sets alarm bells ringing. According to the story by Rod Ardehali: ‘The Church of England is split over US plans to remove “husband” and “wife” from its marriage service in favour of gender neutral pronouns, in a bid to make it more gay-friendly . . . The move towards a more gay-friendly version of the service was criticised in a letter from the Church of England’s Secretary General William Nye last year. ‘In the letter, which emerged in April, Mr Nye suggested the church would split from its US wing – a fellow member of the worldwide Anglican Communion – if it follows through with plans to introduce a new, liberal service as standard ahead of the present Book of Common Prayer version. Note the words ‘gay-friendly’ and ‘progressive’ in Mr Ardehali’s report to describe politically correct liturgy and its supporters in the Anglican Church. Mr Ardehali is entitled to use those words in an opinion piece but surely in a hard news report for a newspaper with a high proportion of socially conservative readers ‘pro-gay’ or ‘pro-LGBT’ instead of ‘gay-friendly’ and ‘liberal’ (a term he did use) or ‘revisionist’ instead of ‘progressive’ would project a greater degree of impartiality. From an orthodox Christian perspective, there is in fact nothing ‘friendly’ or ‘progressive’ about twisting the Bible to accommodate sinful practices and expressing that in liturgy to the dishonour of the Lord Jesus Christ. It is actually unloving and regressive for a Church to do that. God is not mocked and certainly not by the Bishop of Buckingham. These statements are of course the expression of opinion and not hard news reporting, which is why neither such adjectives nor their politically correct opposites should appear in a news report to describe the liberal or revisionist wings of the Church of England. In this story, the PC-propaganda terms should have been picked up by the Mail’s sub-editors. If it was a sub who put them in, then that would be even more worrying in relation to the spiritual and moral direction of the Daily Mail.